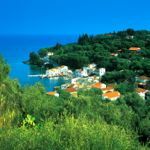 As well as those familiar Greek island assets of blue seas, delicious swimming, jaunts by boat and long, lazy lunches in waterfront tavernas, Paxos is an island of silvery-leafed olive groves, a legacy of the 14th century Venetian occupation. With no airport - and not even a single traffic light – it’s a perfect place to escape the crowds. 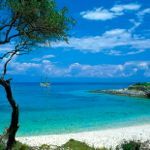 We have been arranging villa holidays to the Ionian island of Paxos for more than 40 years. We have handpicked a range of more than 30 villas and traditional stone houses on Paxos, with between one and four bedrooms. 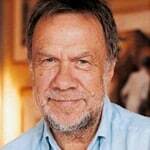 Locations range from olive groves to villages to clifftops. Many properties have a private pool. Set in a charming hamlet, Villa Perseus sleeps up to four with its own very private pool, terraced gardens filled with almond and orange trees plus dramatic views across the olive groves to the sea. It’s a mile and a half from Loggos and there’s a taverna within walking distance. 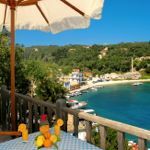 With spectacular views of AntiPaxos at sunset, Villa Yakovos is set in a secluded location, sleeps up to four and also boasts a private swimming pool whilst charming Harbour View (top right) has a wonderful location right above the picturesque harbour of Loggos. 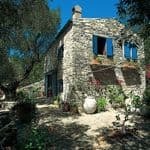 Larger parties should look at Villa Andromeda, close to Loggos, which sleeps up to eight and has delightfully cool interiors. Erimitis View is a one-bedroom cottage with a private pool and the most spectacular coastal views – a romantic gem. Wherever you stay on the island, you are never further than a 10 minute drive from one of the three fishing villages and nearby beaches. We recommend hiring a boat – it’s the best way to find your own beach or to reach the white sandy beaches of Anti Paxos. With a range of characterful villas throughout the Greek islands, our holidays will appeal to those looking for peace, privacy, comfort and natural views. Click here for more about villa holidays in Paxos, our latest special offers or to request or download our brochure.